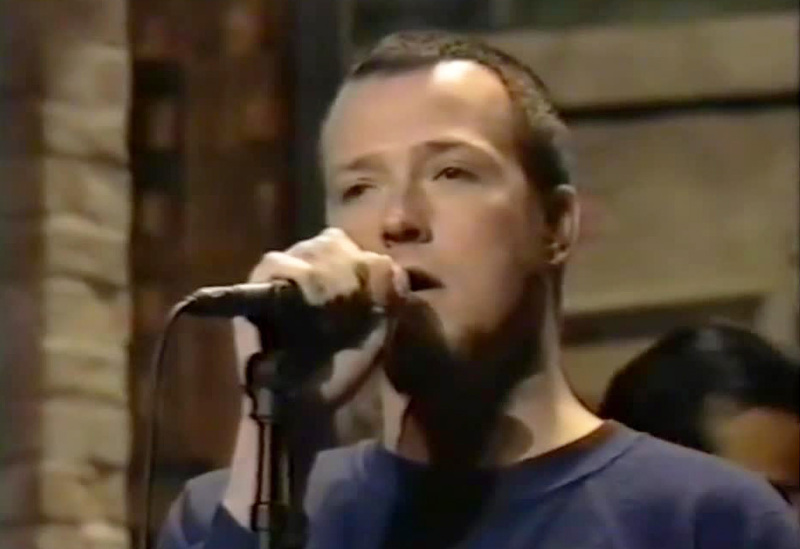 In a week before Christmas Eve in 1994, Stone Temple Pilots stopped by the Late Show Show with David Letterman to performed a song from their new sophomore album Purple. The band scheduled to play non single track “Unglued” on the musical slot of the show. Before they begin to plug in “Unglued,” frontman Scott Weiland delivered an intro of “Christmas Time Is Here,” a song originally written by Lee Mendelson and Vince Guaraldi for the 1965 TV special A Charlie Brown Christmas. Watch the performance below.